Now, seven months later, the farm system looks very different thanks to graduations and trades. Gleyber Torres and Miguel Andujar, the system’s top two position player prospects coming into the year, are now mainstays on the big league infield. Tyler Wade was the Opening Day second baseman, Jonathan Holder has assumed a vital bullpen role, and Domingo German held down a rotation spot for nearly two months. The Yankees also dipped into their farm system at the trade deadline. The J.A. Happ, Lance Lynn, Zach Britton, and Andrew McCutchen deals sent away seven prospects and two other young big leaguers. Nine of my preseason top 30 prospects are no longer prospect-eligible. Four have graduated to the big leagues and five others were traded. That’s a lot of turnover. The organization’s eight domestic minor league affiliates went a combined 399-399 this season. Exactly .500 for the system’s worst combined record in a long time. Fortunately minor league win-loss records have basically zero correlation to long-term big league success. 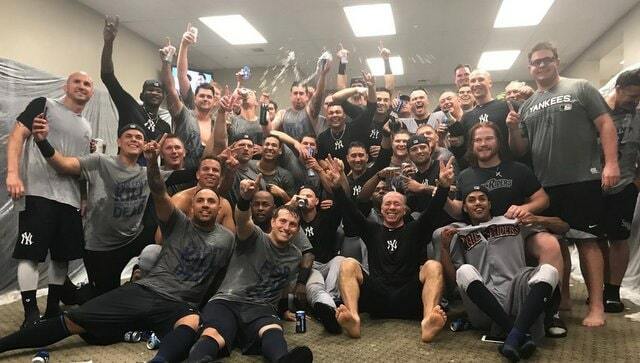 Double-A Trenton and Triple-A Scranton both qualified for the postseason, with the RailRiders falling one game short of their second International League championship in three years. Now that the minor league postseason is over, it’s time to hand out some awards for the 2018 season. As always, these awards are subjective and completely meaningless. I have no authority whatsoever. This is just my look back at the minor league season and a recognition for those who played well. This isn’t any sort of top prospects list. It’s a best performers list regardless of prospect status. Here are my 2007, 2008, 2009, 2010, 2011, 2012, 2013, 2014, 2015, 2016, and 2017 awards posts. Eleven years of these already. This is year 12. Crazy. Time to dive into this year’s minor league awards. When he came over from the Marlins in the Caleb Smith/Garrett Cooper roster clean-up trade over the winter, King was an unheralded right-hander who spent all of last season in Low-A. This season, his first with the Yankees, he shot up three levels and was one of the most dominant pitchers in the minors. King threw 161.1 innings this year — those 161.1 innings are the most in the farm system since veteran journeyman Ramon Ortiz (169.1) and organizational southpaw Shaeffer Hall (164.1) in 2012 — with a 1.79 ERA (2.76 FIP) and excellent strikeout (24.4%) and walk (4.7%) rates. He allowed five runs in 39 innings in six Triple-A starts to close out the regular season. Five-hundred-and-ten pitchers threw at least 100 innings in the minors this year. Among those 510 pitchers, King has the second lowest ERA and the 11th lowest FIP. His 152 strikeouts were 22nd most in the minors. Total dominance from start to finish. King went from easy-to-overlook offseason pickup to knocking on the big league door. For the sake of variety, the Player of the Year doesn’t get to double up as the Pitcher (or Hitter) of the Year. That’s always been my rule and that’s why Sheffield gets the nod over King here. Sheffield reached Triple-A as a 21-year-old this summer and was dominant, finishing with a 2.48 ERA (2.98 FIP) and a strong 25.9% strikeout rate in 116 innings around a relatively minor shoulder injury. His 10.5% walk rate was a bit too high, but Sheffield did go from 14 homers in 98 regular season innings last year to four homers in 116 innings this year. There were some excellent pitching performances in the system this year, starting with King. Sheffield was the best of the rest. Garcia’s evolution from raw stuff guy to talented strike-thrower was quick. The 19-year-old pitched at three levels this year, including making one spot start at Double-A, and he cut his walk rate from 12.0% in 2016-17 to 6.8% in 2018. Garcia threw 74 innings across those three levels and finished this season with a 2.55 ERA (2.60 FIP) and an excellent 35.5% strikeout rate. Over 900 pitchers threw at least 70 innings in the minors this summer (902, to be exact). Garcia had the fifth highest strikeout rate and the fourth highest K-BB%. Everyone above him in both strikeout rate and K-BB% is at least two years his elder. Garcia’s breakout at age 19 was even better than 19-year-old Luis Severino’s breakout in 2013. Not a good year for comeback players in the farm system. RHP Jonathan Loaisiga would’ve been a great candidate had his comeback year not been last year. 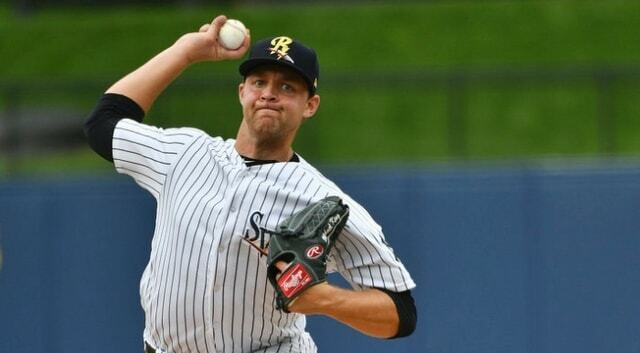 RHP Clarke Schmidt came back from Tommy John surgery, though it was his pro debut more than a comeback season. So Gomez gets the nod almost by default. The 20-year-old hit a weak .128/.269/.174 (50 wRC+) in 27 rookie ball games last year and there were rumblings he’d quit baseball and gone home. Gomez returned this year and hit .213/.289/.425 (84 wRC+) in 58 games with Pulaski this year, which obviously isn’t great (or even good), though his eleven homers were fourth most in the rookie Appalachian League. Amburgey had a bit of a weird season. He finished the year quite strong, though his overall season stat line never seemed to move. He finished the year with a .258/.300/.418 (97 wRC+) batting line to go with 16 homers and 12 steals (in 14 attempts) in 125 Double-A games. Amburgey bottomed out at .228/.267/.383 (78 wRC+) on June 6th, through 49 games. He had six homers and three steals in those 49 games. In his final 76 games, he hit .276/.319/.439 (109 wRC+) with ten homers and nine steals. That is the essence of the Bounceback Player of the Year award right there. Start slow, adjust, finish strong. The Best Pro Debut award typically goes to a recent draftee because rarely does an international player come stateside one year after signing his first pro contract. Cabello is not most international signees. The Yankees gave the 17-year-old Cabello a $1.35M bonus with their leftover Shohei Ohtani money last offseason and turned him loose in the rookie Gulf Coast League this year. He hit .308/.427/.522 (168 wRC+) with nine doubles, five triples, five home runs, and ten steals in 46 games. His walk (14.1%) and strikeout (20.8%) rates were quite strong as well. Over 2,400 players batted at least 180 times in the minors this season and Cabello ranked 24th in wRC+. Twenty of the 23 players ahead of him are older. Tough year for Gilliam, who followed up last season’s breakout with a .259/.313/.397 (103 wRC+) batting line and 13 home runs in 125 games with High-A Tampa. That’s not terrible by any means, but for a bat-first corner outfielder with not much defensive value, it ain’t good. Gilliam hit .275/.356/.468 (137 wRC+) with Low-A Charleston last season and was unable to build on it this year. His strikeout and walk rates declined from 21.7% and 10.8% last year, respectively, to 29.0% and 6.9% this year. Lail has yet to reach the big leagues — that’s sort of the point of this award, to honor a player still plugging along in the minors — and he likely never will with the Yankees given the fact he will become a minor league free agent after the season. Despite that, he is a remarkable player development story. In 2012 the Yankees made him their 18th round pick out of a Salt Lake City high school. Utah’s not exactly a baseball hotbed, you know. Baseball America (subs. req’d) wrote in their pre-draft scouting report that Lail “usually settles into the 85-88 mph range” with his fastball, but the “hand speed is there,” which indicated he had the laxity to make the ball spin. The Yankees had to teach him basically everything. A proper delivery, a proper fastball, a proper curveball, help him develop a plan on the mound. The works. They drafted a ball of clay and molded Lail into a pitcher. Lail’s climb up the minor league ladder was not as gradual as you may expect given his general rawness out of the draft. He was drafted in 2012 and he reached Triple-A as a 21-year-old in 2015, and he’s split the 2016-18 seasons between Double-A and Triple-A. Lail worked as a starter up until this year, when the Yankees moved him to the bullpen full-time to see whether he could help at the MLB level in that role. The move to the bullpen didn’t help much this year (5.43 ERA and 4.65 FIP) and, in six and a half pro seasons, the just turned 25-year-old Lail has a 3.98 ERA (3.82 FIP) with serviceable strikeout (17.5%) and walk (7.0%) rates in 691.2 innings. That doesn’t sound great, but keep in mind most raw cold weather prep pitchers rarely make it this far. 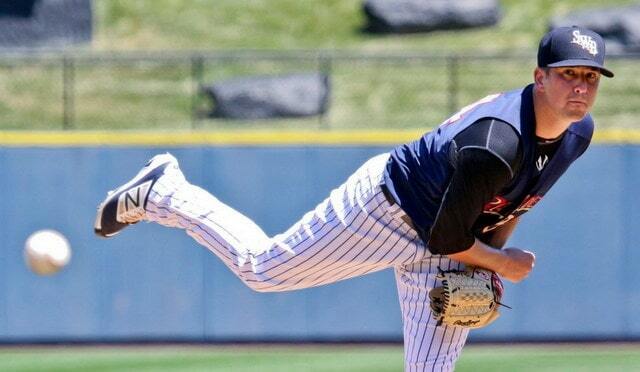 Jordan Cote, the Yankees’ third rounder out of a New Hampshire high school in 2011, threw only 129 minor league innings before being released. Canadian Dayton Dawe, selected three rounds before Lail in 2012, lasted 52.1 minor league innings. In addition to having a great spoonerism name (Lady Brail! ), Lail deserves a ton of credit for getting to where he is today. He came to the Yankees with some natural ability and had to work hard to become a successful professional pitcher, one who reached the highest level of minor league baseball at age 21 and earned three non-roster invitations to big league Spring Training (2016-18). Lail is one of the longest tenured players in the organization and he’s been an occasional prospect/quality organizational player for the better part of a decade now.